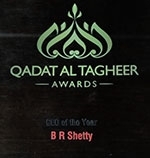 Over the years, Dr. B. R. Shetty has contributed immensely to the field of healthcare, both in the UAE and around the world. His efforts have been respected and acknowledged at a number of platforms, including the Order of Abu Dhabi, the highest civilian award by the UAE government, and the Pravasi Bharatiya Samman Award, given to him by the President of India. 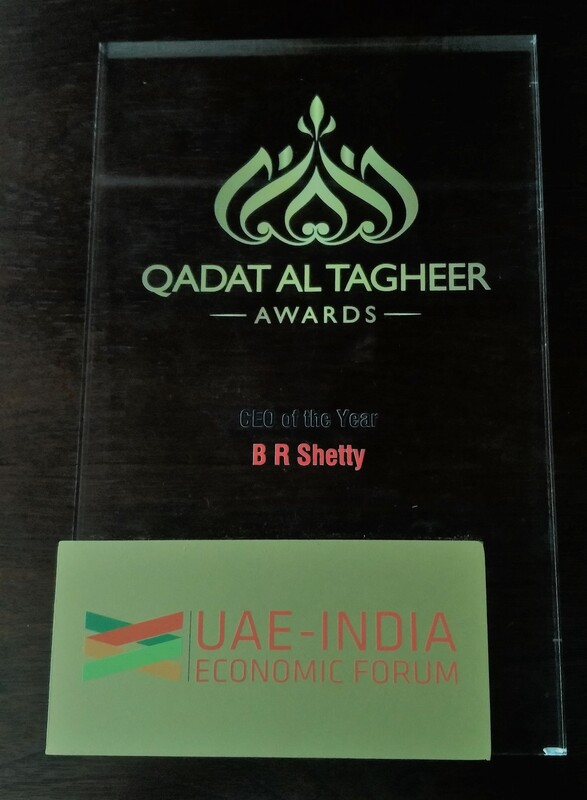 Dr. B. R. Shetty was recognised as the CEO of the Year by Qadat Al Tagheer Awards at the 4th Edition of UAE - India Economic Forum in Dubai, UAE on Oct 24, 2018. © 2018 Dr. B. R. Shetty | All Rights Reserved.